Network Specialist sounds like something from an action movie, imagine for yourself a geeky looking character with a Chuck Norris alter-ego, who connects people and their workstations just by looking at them. Alternatively, a cherub in a romcom, yes the one that looks like a semi-dressed young character armed with a bow and arrow, that magically caused the boy and girl to find each other through a magical true love connection. However, seriously now, let us consider Networking Specialists by breaking it down into networking and specialists and hopefully come to a conclusion that we all feel comfortable with. Networking may have many meanings, depending on the box it is placed in. Humans, to some extent, have always been social animals, be it butterflies like my wife or neanderthals like myself, we can all agree that in our core we are a networking type species. We connect and we transferred information. We have had our ways of doing this for many years. Way before data ran across multiple platforms and digital information was transferred at the present high speeds, smoke signals were sent and the sound of drums confirmed some form of transfer of information, hence networking. Funny enough, maybe network security was higher then, as it could have been difficult to hack a smoke signal. I can’t confirm this though. Networking today speaks of how far we have come in the Information Technology era and already lays the foundation for a requirement for higher speeds, larger blocks of data transferred, bandwidth demand, uninterruptable transfers of connect devices 24/7/365 and we don’t know where this will end. Being connected has become a very high priority, to the extent that if Maslow’s hierarchy of needs had to be updated for today’s generation then, networking would be seen as a physiological needs right alongside food, water, warmth and rest. Being disconnected is the same as running out of oxygen. Data has moved to cloud-based storage facilities. Applications are no more just a workstation element but can be fully functional in the cloud and run from the cloud. Networking and the Internet of Things is now a reality and I believe that the Digitization and “electrification” of Data (information) will soon be part of the clothes we wear and will become a part of our physiology. As to how good this is, we will probably be discussing this for hours if not years. Now to the specialists, the Hero’s, of either the Chuck Norris type, or the semi-dress juvenile type, be whatever they are the hero gets the job done, with confidence, without seemingly any effort, to the point where it seems to be almost magical. We at CCI Technology Solutions, believe that the demand for a dependable functional network requires a specialist’s hands-on approach to the requirement, initial design, planning, future growth and implementation of our clients’ need for reliable networking. We are focussed on the results as much as the process towards reaching the expectation of the client and delivering a stable networking platform across the physical layer. Being a specialist in our field – someone that “concentrates primarily on the successful integration of the latest physical layer technology and ensuring the dependability thereof – we employ and make available highly skilled technicians in this specific and restricted field. Although the belief is that everyone can pull a cable, not everyone delivers satisfaction. As Networking Specialists, we contribute to maintaining a high level of service in this field and keeping clients smiling with joy. 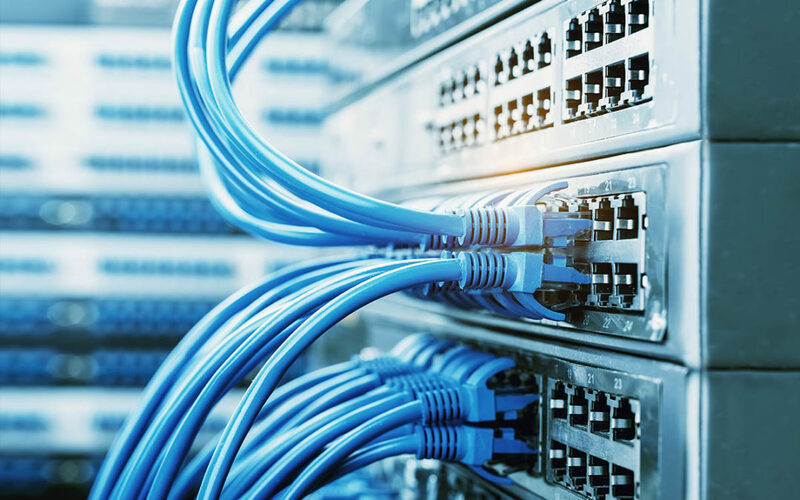 As Specialists we believe that it is critically important to stay in touch with the latest developments in physical layer network products, our technicians are trained and our Account Managers knowledgeable to the extent that we can address expectations and deliver more than expected. This is a requirement for Networking Specialists. A business network enables everyone in your organisation to connect to each other, to customers, to business partners, to essential applications, and to the Internet. The beauty of a network is that information and applications can be shared and accessed easily by everyone on your team – but only if the networking specialist was involved from the start and ensured that the point-to-point, LAN, WAN, Routing, Switching and Security of this network meets the highest standards of stability and quality. While Routing and Switching determine successful communication between devices and makes the traffic manageable, the condition of the “highway” it travels on, has a visible impact on performance. What is the use of owning a Ferrari if it will be running on a gravel road! It needs a super highway to perform to its full potential! It is the same with computer networks, the quality of the underlying infrastructure dictates how well it will deliver! CCI Technology Solutions deliver and maintain the “highway”, while not overlooking the “flow of traffic on the highway”. Make us part of your Network Team, we will work with you and we will work for you. If it is a Networking Specialist you need to “clean up some loose ends”, you know whom to contact.